One of Melbourne's favourite cultural precinct, Federation Square, is synonymous with events, tourism, food and wine and venues like ACMI and NGV Australia: Ian Potter Centre. 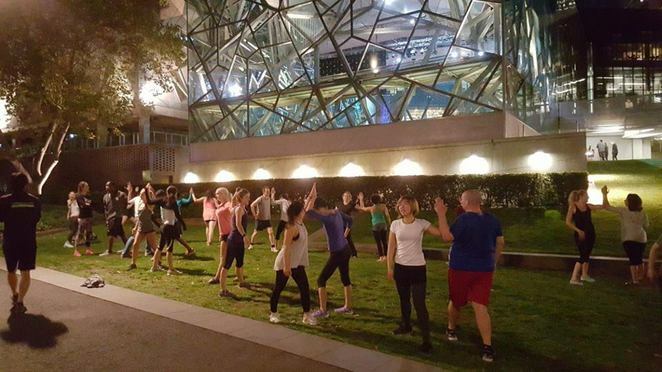 It is also a meeting place, not only for fun but also for staying healthy and active in Melbourne. To help locals get fit, Healthy Lifestyle Lounge is offering FREE fitness classes every Tuesday, Wednesday and Friday till 31 August. 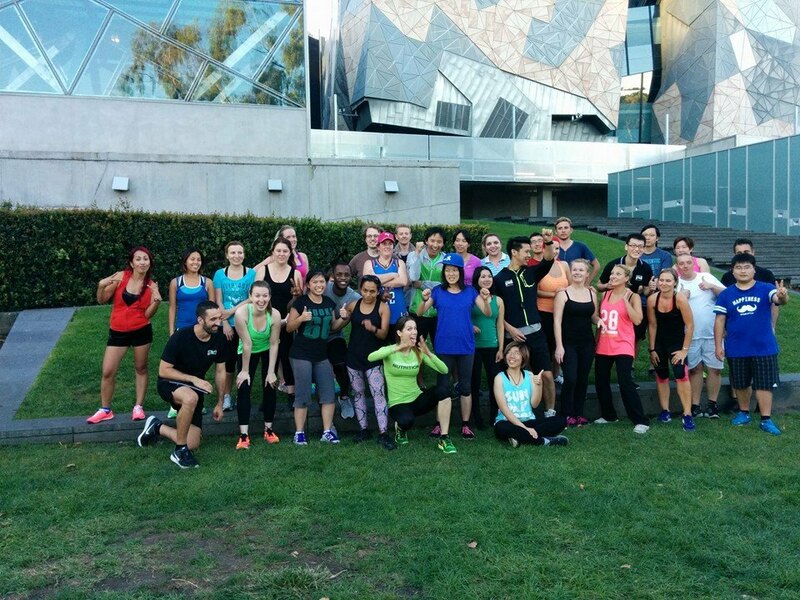 This organisation is Melbourne's only street workout club, which combines exercise, nutrition and social time with coaches and fellow members. 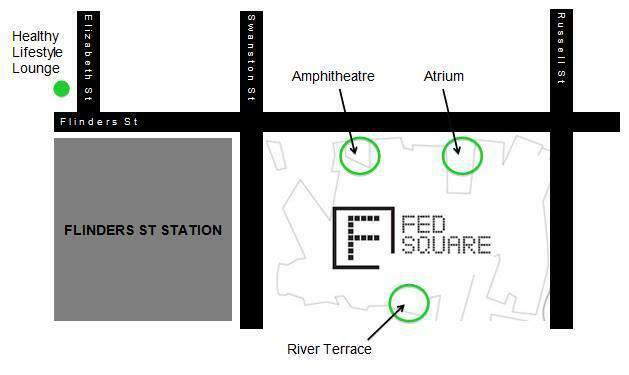 Classes are held at the River Terrace, Amphitheatre and Atrium of Federation Square. 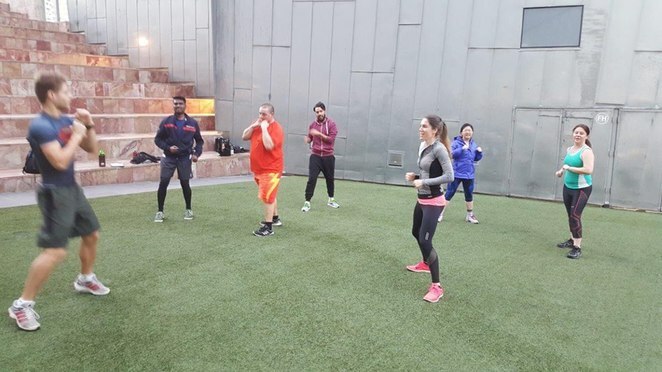 Fitness activities are led by experienced coaches who will put you through a series of circuit-based exercises that combine core strength movements with cardio training and body weight exercises. The objective is to make exercise simple and fun for everyone of all ages and fitness levels. All you need is a water bottle, a pair of running shoes and wear layers that you can remove as you warm up. At the end of each workout, you can walk it off and retire to the lounge for some rehydration and refuel for $5. Spread the word around to friends and bring them along for these FREE fitness classes.